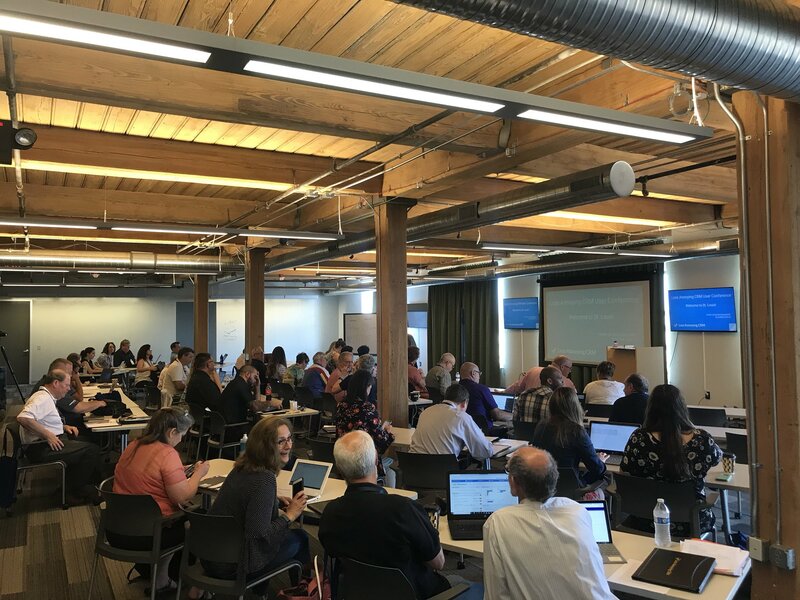 Behind the Scenes: Our First User Conference! After a whirlwind few days, Less Annoying CRM’s first user conference is officially complete! 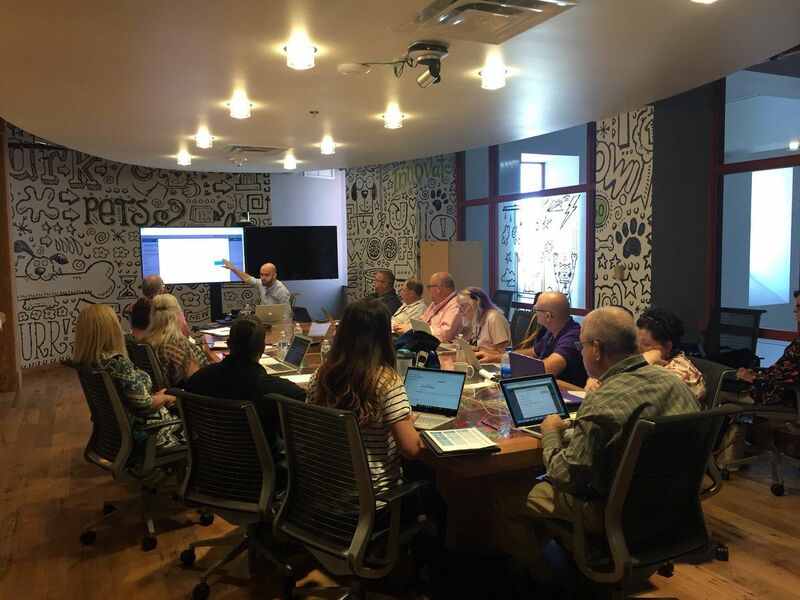 Over just 48 hours, everyone attended 6 workshop sessions, had an in-person audit with their CRM Coach, explored beautiful downtown St. Louis, and sipped some bubbly* at LACRM HQ. On Monday, I met all of our conference attendees for the first time, even though many of them had been emailing and chatting on the phone with me for years! By Tuesday, I felt more connected to our customer base, and excited to continue serving the small business community. In this post, I’ll take you through a behind the scenes tour of the user conference. I’ve highlighted my favorite moments so that you can skim the best events and conversations. Interested in attending our next conference? Sign up for news and updates here. 6:00 PM - Cardinal’s Game! To kick off the conference, some customers headed to Busch Stadium to enjoy an afternoon of baseball and beer with LACRM partners Michael Wuellner and Alex Haimann! I stayed at home prepping for my talks and silently wept while the Cards beat my precious Cubs. I arrive at T-REX (a startup incubator and LACRM’s former office space) for bagels, fruit, and coffee. I am a bit jittery — I’ll be running two marketing talks today, and I’m excited to meet our customers in person! I do customer service with LACRM, so I am used to talking to people all day long, but the conference is different. Not only will I be meeting with customers in person, but we’ll be spending the entire day together learning and having fun. My favorite thing about T-REX? There are tons of paintings on the walls, all with normal, everyday scenes...save for a giant T-rex lurking in the background. LACRM’s CEO and founder Tyler King kicks off the conference by explaining LACRM’s design philosophy and giving our customers a behind-the-scenes look at where the software is headed (behind-the-scenes inception!). Tyler’s main goal for the conference? Get feedback from as many users as possible about their current workflow pain points, so that we can make their lives easier and better. Once Tyler leaves the mainstage, it’s workshop time! I am leading one of the first sessions for the day: Email Marketing 101. For the next hour and fifteen minutes, I (and about 20 customers) dive into the basics of email marketing: the strategy, the setup, and the dos and don’ts for sending your first email. During the Q and A section of the presentation, I demo the ins and outs of MailChimp: how to setup an account, how to create a campaign, and how to add in details like your logo or merge tags for the recipients name. My main takeaway? A lot of people are concerned about the setup, but once they have the basic elements (an audience, a MailChimp account), creating and sending emails becomes a lot easier. Session Leaders: Email Marketing 101 (led by yours truly), How to turn your expertise into influence (led by Influence & Co’s Matt Kamp and Brittni Kinney) and Let’s talk about selling (led by LACRM’s very own Alex Haimann). While I used T-REX’s coworking space to do follow ups for my first session (and refill my coffee cup), a different round of workshops began. Our CEO Tyler led “Optimize your workflow,” and he explained his method for managing his inbox and tasks. If you don’t already have a method for tackling your work each day, your task list can get out of control, and emails can slip through the cracks. Tyler shared his organization method, and customers discussed their optimization takeaways round table-style. Our friends at Influence & Co. explained “How to turn your expertise into influence” by harnessing the full power of your distribution channels. If you have great content, it doesn’t mean much if you can’t get it in front of your prospects. As the person who runs most of LACRM’s content, I had a lot to learn! Our head of customer service (and my manager! ), Michael, led “Expert tips for using LACRM”. I heard a lot about this session during our 1:1 consultation sessions the next day. Folks who had been using us for years discovered new features and finally set up syncs and customizations to make their workflow simpler. Session Leaders: Optimize your workflow (led by LACRM CEO Tyler King), How to turn your expertise into influence (led by Influence & Co’s Matt Kamp and Brittni Kinney) and Expert tips for using LACRM (led by LACRM’s head of customer service, Michael Wuellner). Just about the best part of any day, am I right? The conference crowd treated themselves to some delicious food from Lukasek Catering (a local STL company). I nommed on croissant sandwiches, pasta, italian salad, fruit, and of course some cold iced tea. As soon as lunch was over, we dove into session 3. 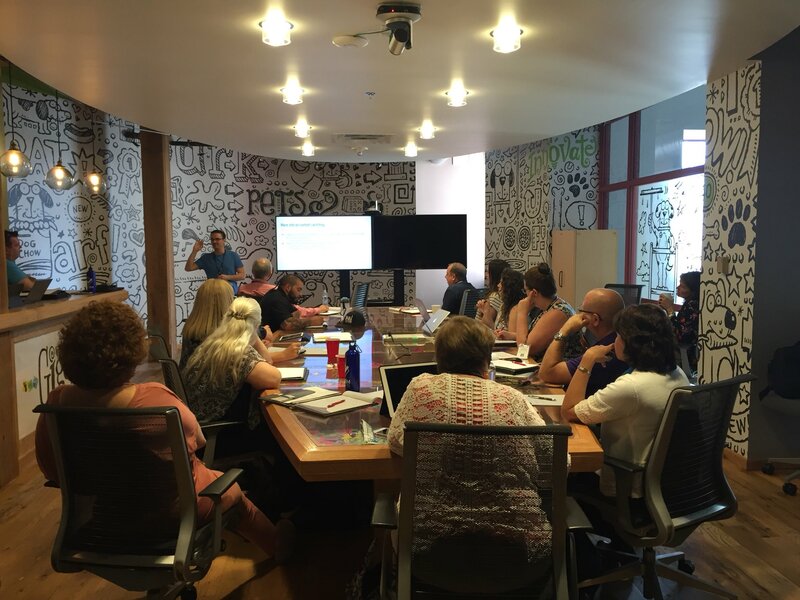 This time, I led a more advanced email marketing workshop focused on how to increase your sales through emails. We looked at email automations, A/B testing, and creating a content process so that you never run out of material. 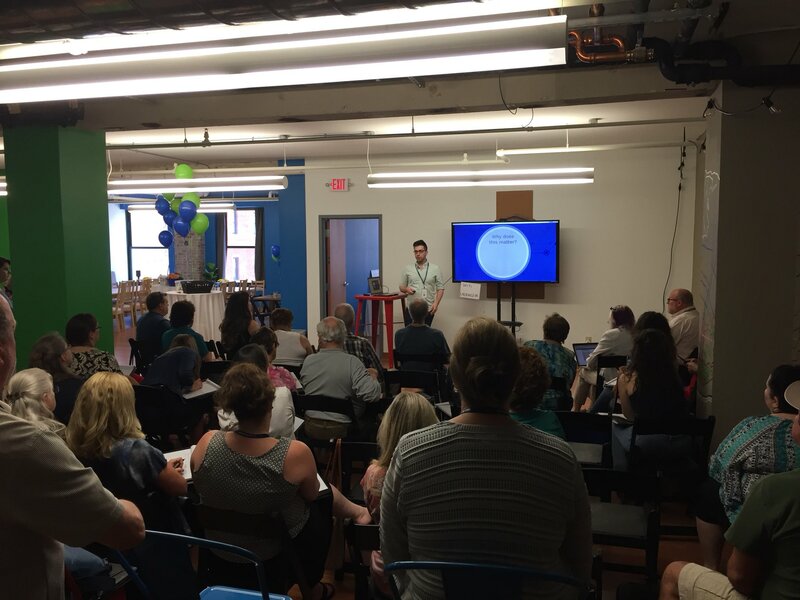 Throughout the session, we brainstormed email marketing strategies for customers in the room. Many customers could benefit from automations to nurture leads and send regular follow ups to existing customers; imagine, instead of creating tasks to schedule emails, or having to copy/paste text from a template every time you sent an email, it could be done automatically at scheduled intervals! We discussed specific triggers and types of emails, and scheduled 1:1 marketing consultations for the next day. Of all the sessions I ran today, this one felt like the most productive, but also the most inspirational. I felt like everyone left with lots of ideas on how to change their business! Session Leaders: Email Marketing 201 (led by moi), Customer service as a key asset for your business (led by LACRM’s head of customer service, Michael Wuellner), and Reimagining the value propositions for your business (led by LACRM’s very own Alex Haimann). I led the session on advanced email marketing tips for a second time. There were only a few people in the room, so we ended up having a small discussion on automations and creating individual plans for each attendee. Then, we went into their accounts to assess their group setup and get the ball rolling on syncing with MailChimp. The most interesting part of the day’s final session was a conversation I had with a customer who was struggling with finding the time to setup email marketing. She knew it would take her hours to get started, and she was nervous about learning an entirely new system. This is a choice that a lot of small businesses face: do I take the time to set something up that will save me hours of work later on? Or do I stick with what I know and what is working for now? For this particular customer, we settled on something in between. She is going to look into setting up a basic automation to help with some of her cookie-cutter emails, and we talked about using email templates to help cut down on the work she does for more personalized emails. Session Leaders: Email Marketing 201 (led by moi), Harness business planning (led by our founders’ father, Ron King! ), Optimize your workflow (led by LACRM CEO Tyler King), and Expert tips for using LACRM (led by our head of customer service, Michael Wuellner). The day ended with a presentation from Greetabl, a St. Louis company that makes perfectly proportioned personalized presents (a great tag, in my opinion). Customers got to snag their own treats and learn about the impact gifts can make on prospects and clients alike. I got a delicious brownie-marshmallow sandwich. 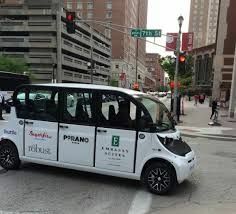 5:45 - Tour of downtown St. Louis with Electric Cab North America! After a day of talking and learning, everyone was ready for a much needed break! I hopped in an electric cab with a few LACRM customers for a quick tour of downtown St. Louis. I have lived here for 6 years (and visited many times before that), and even I added a few new items to my St. Louis bucket list! We stepped off the cab a few times to enter historic buildings, and I will definitely be returning to Union Station for a drink in their gorgeous lobby. After the tour was over, Mark Minden, the national accounts manager at ECNA, went the extra mile (literally) and drove us to Broadway Oyster Bar, a New Orleans inspired bar and music venue. Over beers and fried gater tails, we talked about St. Louis’ many neighborhoods, our annual Mardi Gras festivities, and the City Museum (a giant, beautiful play space just a few blocks from the conference). 7:15 - Dinner and Party at LACRM HQ! We rendezvoused back at our home office for dinner and drinks. My personal highlight? Boxes upon boxes of Pi Pizza, my favorite pizzeria, period. Delicious food aside, I had a great time just talking to customers. I talk to small business owners every day on the phone, but it was wonderful to see the entrepreneurial spirit in person. Many of the folks I talked to had several businesses, and were using the CRM for all of them. It was great to hear that the CRM had not only helped their businesses, but made their lives easier too. As a CRM Coach, more often than not I am talking to someone who has a problem that needs solving: they have a question, they can’t find a feature, they need to do something in the CRM and they don’t know how, etc. It was energizing to talk to customers who had learned a lot in the past day, and who felt like they were solving problems they didn’t even know they had. We talked about more than just business, of course! I learned about customers’ families, hobbies, passions, and travel plans (I hope you make it to Italy — you know who you are!). Many customers were also staying in St. Louis for an extra day, and I always suggested a few of my favorite spots to check out (the beautiful new Arch grounds, Forest Park, and my old stomping grounds on the Loop). After a great first day of the conference, we convened for more bagels, fruit, and coffee, but this time at LACRM HQ. Max Wastler, a native St. Louisan and story builder, showed our customers how to craft their company’s own unique narrative in a simple, humble, and genuine way. Max emphasized the power of words, the importance of framing, and regularly reviewing your company’s story. Conference attendees broke into groups to work through Max’s techniques and solicit feedback from one another. Max remarked on how cool it was to see everyone's immediate engagement not only with the material, but each other. For me (and many of my colleagues), this was the most anticipated talk of the conference. We frequently get calls from people who are concerned about internet security, but have no idea how to follow best practices or protect themselves. We have a few guidelines we can give over the phone, but there is often not enough time to discuss everything. My colleague Robert talked about internet security, password protection best practices, and guidelines for general “street smarts” on the internet. Customers got to enjoy our shady patio while they noshed on BBQ, falafel, salad, and La Croix (LACRM’s beverage of choice). For the next 4 hours, my fellow CRM Coaches and I gave 1:1, in-person account audits to every attendee. I helped customers rebuild pipelines, add new users, create groups, and clean up their accounts. I also held some additional marketing audits, where we discussed some of the nitty gritty from my marketing talks yesterday, and actually logged into people’s MailChimp accounts to start building lists. I had a blast at the user conference, and I loved sharing my marketing know-how, learning new storytelling concepts, and eating my favorite STL food in the company of our awesome customers. I can’t wait to start planning for next year! You can check out tweets about the conference by searching for #LACRMCon2018. Interested in attending next year’s user conference? Sign up here to receive updates, and be the first to know when registration opens! *By “bubbly” I mostly mean La Croix, but there was also beer.